Checking on Wikipedia and it shows 4 GLs in Morocco (see below). Does anyone have any experience of lodges in Morocco? Might be heading out that way and wouldn't mind taking a look, going along and seeing what's what. And of course I'd love to speak with any Moroccan brethen who might be around here! If you do, just make sure you check with GQS via your Provincial Secretary in advance! 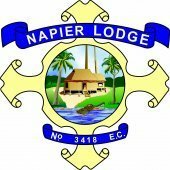 Attend the wrong lodge and you could find yourself in trouble.